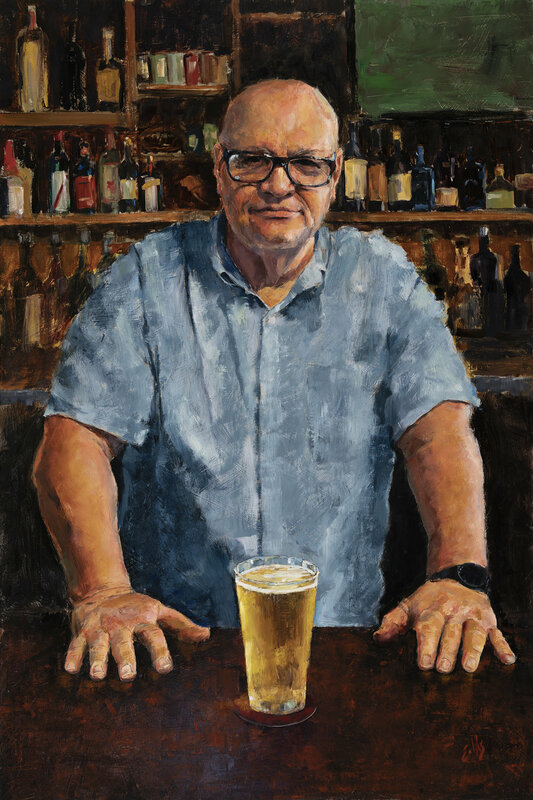 "The Barkeep - Portrait of Michael McCarthy"
"Eells' large paintings of oil are reminiscent of an Old Master style – detailed draftsmanship, oblique, often moody lighting and bold brushstrokes and color." "Eells' bold and aggressive brush strokes are balanced with a careful adherence to traditional drawing principles." My first solo show DANCE opens at the Ojai Art Center Gallery July 6. Join me at the reception on July 6, 5p-7p. There will be a special presentation at 6p. Show runs through July 31.